Amelia Moore, the founder of the Moore Detective Agency, specialises in missing persons. Her cases have taken her to some very interesting places and put her in some dangerous situations, but she always solves the case. With the help of Rick Bonito, her new partner, her business is flourishing. There is much that I enjoyed about this simple, sweet, mystery romance. It is a quick and easy read. Amelia and Rick's quest to locate their client's grandparents was an interesting story and it had an unexpected twist at the end. The story is set in Ireland and the author did a lovely job of writing about it. The characters have an almost childlike appreciation of all the sights, tastes and sounds they experience during their visit. You almost feel like you are on the tourist trail with them. Rick and Amelia make a cute pair and their romance blossoms a little bit more during their trip here. There are a few humorous scenes as Amelia keeps forgetting her raincoat and they have to brave the weather together. I felt like telling her to get a mini umbrella for her handbag! Although the pair enjoyed the folk music in the pub they didn't get to experience true Irish traditional music and dance. After all Danny Boy is only a hundred years old. I think the couple would have had tremendous fun at a céilí dance. 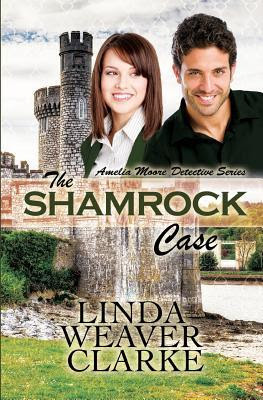 There is less suspense in The Shamrock Case compared to their first adventure in The Bali Mystery but fans of the series should enjoy it no less. There are a few things that I would edit if revisions were ever being made. We don't have ranches here in Ireland. They are simply called farms. We also don't have vacations. We go on holidays or come home on holidays. The currency in Ireland is the Euro and not Pounds. The Pound is the currency of England. We don't refer to Ireland's many rebellions and struggle for independence as religious wars. Our political history and relationship with England is much more complex than this. There is the inevitable stereotyping that goes on when writing about Ireland. Everyone is very religious. One of the characters is a wealthy horse breeder. All the characters speak with a 'thick Irish brogue' and on their first day in Ireland Amelia is the subject of harassment from two drunk men. The mystery surrounding the couple who eloped to America just didn't ring true to something that would happen in modern Ireland but rather something that would happen in the nineteenth century. We are told that the author was inspired by events that occurred in her own family and those events happened in the 1800s. I would have updated the story a little bit to tie in with a modern Ireland that has moved away from the religiosity and stranglehold that the Catholic Church had on this country for generations. I was a little confused about the religious background of the characters. Kate's father was Catholic. Her mother's records were found in the Anglican church but both abandoned their Catholic faith to join an unnamed new religion. Did she convert to Catholicism when she married? I found this a bit confusing. It would have made more sense for the family to have fallen out because a Catholic was marrying a Protestant. This would have been more realistic for the time period especially if the location was Northern Ireland, instead of County Cork, placing them in the middle of The Troubles. Amelia and Rick were excited to try Irish food. I found it strange when Rick excitedly announced that for his first Irish dish he wanted corned beef and cabbage. I've never eaten this. I don't know anyone who eats it and I've never seen it on menus either. It doesn't sound like a culinary delight. But I don't live in the touristy areas that Rick and Amelia visited. A little Google search cleared it up for me and I found a couple of interesting links about food and Irish emigrants in America.